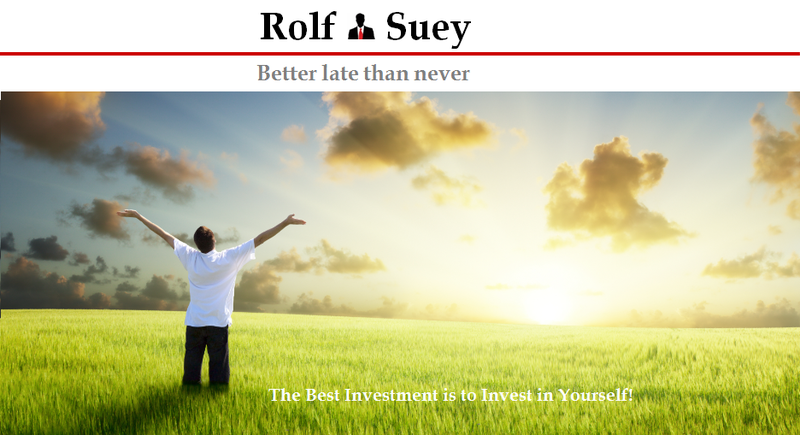 Rolf Suey - Better Late Than Never: Why China Today is so Different - My Own Travel Experiences in the Last 10 Years! Although I frequent China for last decade, the last two weeks were most intense. It is the only time I am in the country for consecutive work weeks. I wrote a post on the plane to share my views on the country. To begin, I will like to share an interesting conversation I had with a Chinese Taxi driver from Qingdao few days back. Coincidently, the driver worked in Singapore for three years as a waiter. Two years ago he returned to Qingdao, his home town. So why did he leave Singapore? I was told that working in both cities do not make any difference in terms of salary. As a Taxi Driver in Qingdao, he earns net CNY7 to 8k equal to SGD1.4 to 1.6k driving 10 to 12 hours a day probably every day. When he worked in Singapore, as a waiter for 8 hours a day, 6 days a week, his salary is same or less. I think he excluded overtime. Taking into consideration housing rental and a higher cost of living, he is actually no better off. in Singapore On top of that, he missed home. The only benefit he mentioned while in Singapore was probably the ability to save more money and not spend unnecessary. This is probably because the objective is clear when working overseas for him – to save and return home with a bucket of money! With the savings he accumulated in Singapore, he paid 40% down payment on a new apartment instead of the minimum 30% ruling in China. He then give a general statement that nowadays, people who stay in developed places like Shanghai, Beijing, Shenzhen, Guangzhou, Qingdao etc will not go to Singapore to work for the money, maybe only for the work experience. I can tell from the conversation that he is a happy now and does not miss our Lion City very much. The only thing the Qingdao driver missed in Singapore is the curry and the durian, I was told! Specifically for Taxi driver, this can be the case only for Qingdao. In cities like Beijing and Shanghai, being a cabby is very frustrating as Traffic is always busy! Below two receipts I keep for reference here in my blog. You can see that while fares (CNY25-26) are similar, distance traveled in Shanghai (5km) is more than half less than that of Qingdao (11.6km). 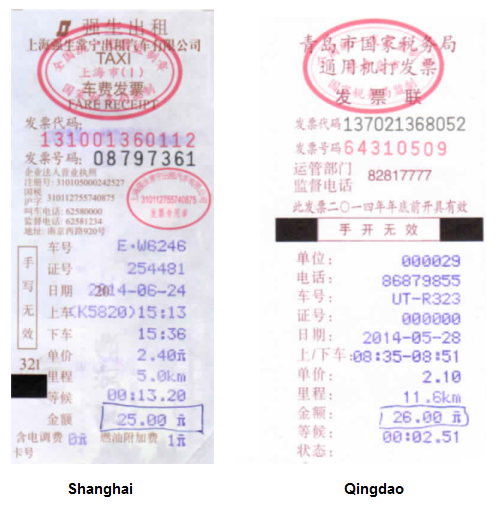 This means that Shanghai fares are twice more expensive. However time taken is much longer in Shanghai. Example, it takes 23min to travel 5km in Shanghai, while it takes 16min to travel 11.6km in Qingdao. China had seen incredibly strong economic success for the last decade averaging double digit percentage point growth a year. People are flocking to major cities in search of “better life” and job prospect. Today, major cities like Shanghai and Beijing has population around 24 to 21 million respectively. Data estimate that both cities will have population surpassed 50 million by 2050. Aside from the economic success, the country is also visibly more cultured today. Admittedly, many new migrants to the city from rural areas may still be uncouth. However the Chinese are very fast learner and as time passed, together with higher education and greater city-life exposure they are becoming more refined each day. One noticeable change sighted is “Plane experience” now and then. My maiden visit to the mainland was approximately ten years ago on business trip, where I flew to Shanghai via China Eastern Airlines. China Eastern Airlines then had no video entertainment. Seat legroom was restricted and cabin crews were so well-trained compare to most developed airline companies. The less than glamorous plane was definitely bearable if you have to compare to the conduct of passengers. After boarding the plane, the punishment begins. You will be deafened by loud conversations. Plane seats will always be inclined regardless of taking off, descent or meal time. You can also find frequent intrusion of space with wide elbows and knees. During flight descent, you can see passenger standing up to catch a glimpse of the scenery, despite cabin crew shouting their lungs out asking people to remain seated. Upon landing while plane is traveling at full speed, passengers will start to unbuckle and stand up to open the overhead compartment, seemingly worried that they have no time to get their belongings later. Once the plane come to a stop, people will all be in a rush, start to push and shove their ways to be in front. Today, most of my business trips within mainland are with China Eastern Airlines. The plane experiences are grave improvements compared to the past. Most people are already accustomed to flying, in line with the economic developments of the nation. Passengers are more mild-mannered and familiar with plane etiquette. Noise levels are lowered; seats are upright during takeoff with passengers buckled safely; uncommon to see passengers stand up during descent or landing and lesser push and shove. Cabin crews are more polite too with cleaner air-craft environment. And of course uncivilized behaviors still exist especially for people first time experience on flight, but the country is taking a big step forward. 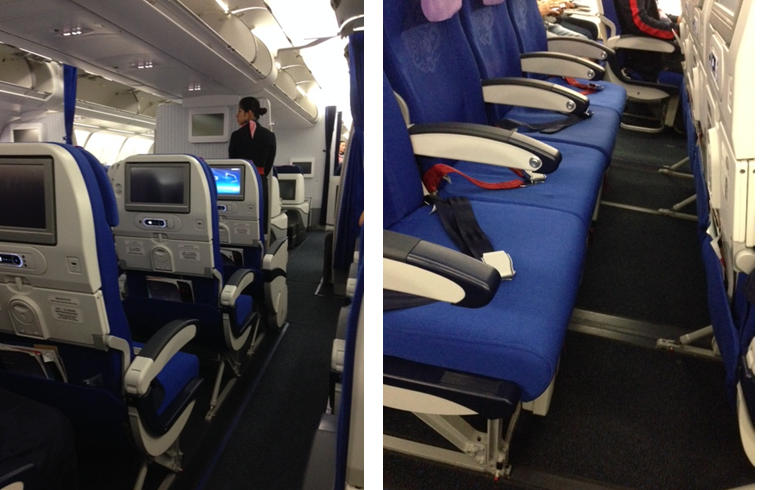 Below are pictures of China Eastern Airlines plane, I boarded last week. It is definitely one of the better China Eastern Airlines planes I have taken. The toilets in China are generally cleaner today. 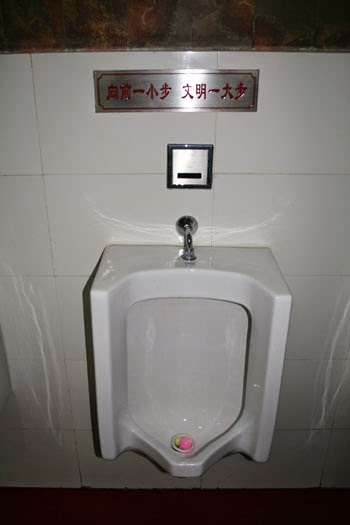 In some men’s toilet urinals, you will also see posters that read: 向前一小步，文明一大步！This means to "take one step forward (in doing your toilet business), and you will see huge cultural improvements." While drinking and smoking are still an integral part of Chinese business culture, I had seen the down trend. In my own experiences seen, Chinese born in year 1980 and before, normally drink or smoke less today compared to those aged 40s and later. I was once told by a Chinese Company President that in the past, toasts and bottom ups are inevitable part of his business dinners. 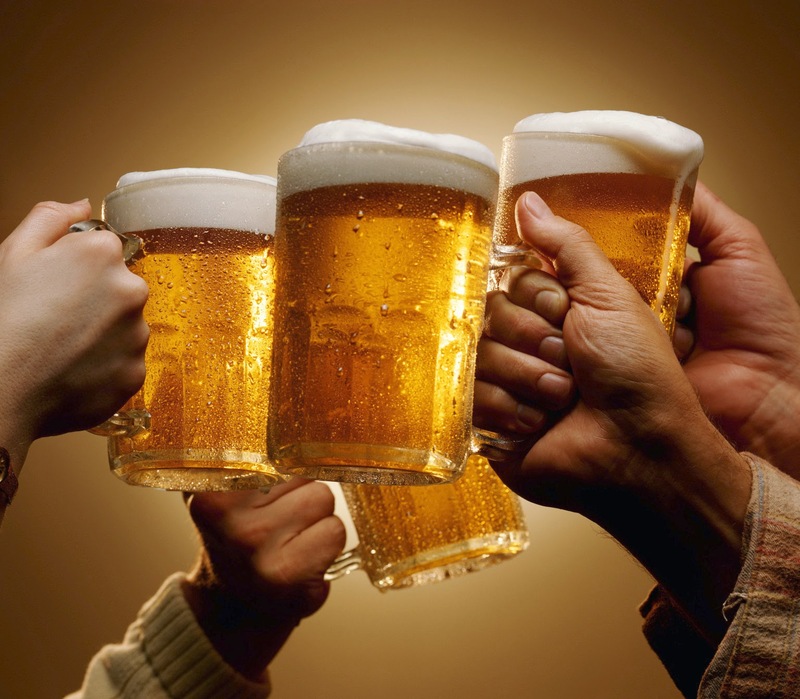 Today, he drank for pleasure, quit smoking and also exercise more. Of course on the contrary, I also met another President that bottom up almost every red wine glass, making dinner last only for a short one hour, before everyone "gone” with the alcohol! I was told that this President enjoyed the “hype” atmosphere brought about by the high alcohol levels, more than the love for the drink itself. These are just some examples of China’s startling advancement (non-tangibles) for the last decade. I am convinced that country will be the top economy powerhouse surpassing USA, twenty years from now or even earlier. Some people like to compare India to China having the same potential of success. I doubt so. The people of China are so motivated, dynamic and eager to learn. More importantly, a lot of the Chinese who accumulated education and career successes abroad eventually return to China. Admittedly, the Indians are motivated and dynamic too, but talented Indians are leaving the country and reside permanently abroad. China authoritarian government also mean policies are passed and implemented faster and easily than the democratic India. I had been to both countries but the improvements I seen in China is not felt in India. One obvious example is the road infrastructure. 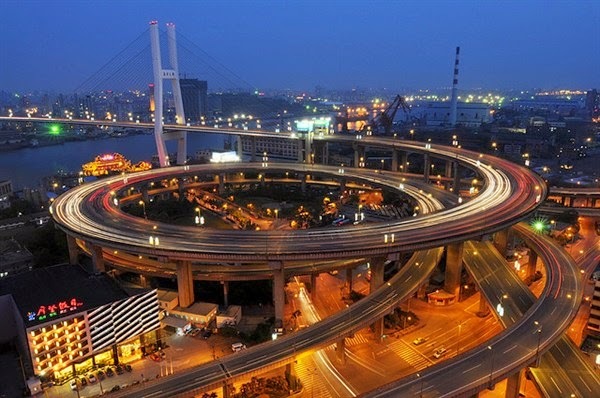 China has roads (building more) so well organized than India. 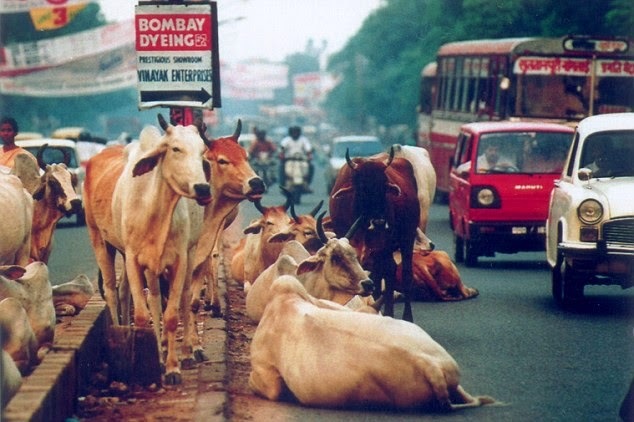 India roads are always almost two-lane, unpaved, dirty with frequent crossing of people and even cows and other animals. To be honest, I am starting to worry for our future generations. Today Singapore still has an edge over China having built our foundations much earlier and having more international exposure. Of course it is less polluted too! This also explains why American and European countries love to have their Asia Pacific HQ in Singapore rather than China even if majority of the market is within mainland. Very often Singapore is acting like a bridge between China and the west since we are bilingual and expose to cultures of both worlds. 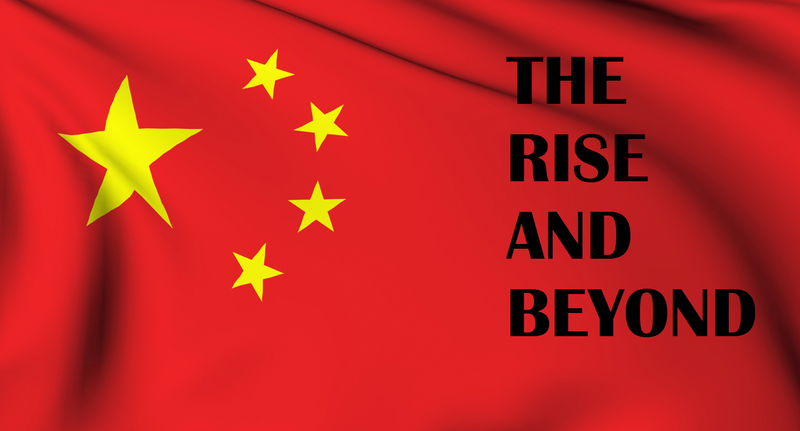 But what lies ahead may be tougher for us as the Chinese continue to pick up steam and surge forward. Singaporeans need to continue upgrade and invest in ourselves to stay ahead! Totally agreed with you Rolf. China progresses in the new era, especially the last 10 years had been phenomenon. 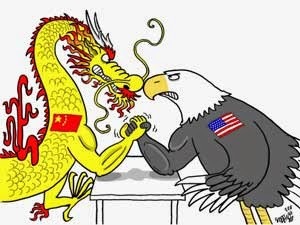 In time to come, they will definitely overtake USA to become the economy powerhouse of the world. It used to be the Japanese who buy branded goods, they still do today but in lesser numbers now, the China Nationals are seen in major cities traveling and spending without a second thoughts. Once a year, I travel to France, whenever I walked by the LV's, I can see and hear them, majority shoppers in the shop are them. They don't buy 1 or 2, they left the shop in LV signature paper bags of 3 or 4. All the best to us Singapore. While European brands still dominates among Chinese, I am also seeing increasing trends of China developing and using their own brands, such as Xiaomi phone, Lining sports apparels etc. Yes all the best to Singapore. Nice perspective on the "foreign competition" of the future. It's harder for parochial Singaporeans who can't appreciate or accept the reality that even if we don't compete with them here in Singapore, we still have to compete with them out there! Qingdao is nice isn't it? You know why traffic is smoother than Shanghai? No bicycles on the road! It is indeed a phase a country progresses. We probably do not have our plates all full at buffets nowadays! But are we still Kiasu today, and if it is good? Or are Singaporeans united and proud of this Lion city? Overall I agreed Singaporeans are not very open-minded. Within my circle, I noted that albeit Singaporeans travel a lot but most of the time we are appreciating monuments and places of interest as tourists, rather than understanding the cultures / way of living behind every country. We criticise more than we appreciate and learn! Nonetheless, Singaporeans are versatile to both west and east and still competitive. But one important thing I think we stand out is integrity. This is important! Honestly, I am a little worry about our Singapore going forward. Maybe one day we can start a school where Singaporean financial bloggers give regular talks!